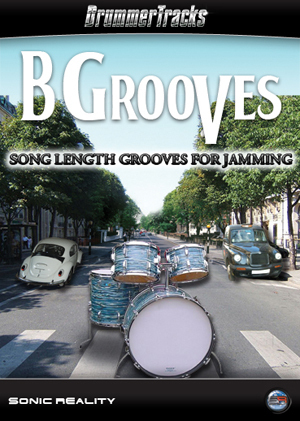 For drums in the style of The Beatles look no further than B Grooves. Complete drum tracks are recreated using the same type of recording equipment and Ludwig® Black Oyster Pearl “Downbeat” kit that Ringo used in the 60s! With the addition of percussion it is like having the drums extracted out of the master tapes for you to play along with yourself. An inspiration for songwriting or jamming, B Grooves has the character of a classic iconic sound suitable for many styles of music today.